Apple has been toying around with display panels made of sapphire crystals for a while now, and is even rumored to boost a volume production for said displays, as they might find a place in the upcoming iPhone(s) 6. Sapphire has many virtues as a mobile device touchscreen cover, and is a viable alternative to the Gorlla Glass franchise, even surpassing it in some aspects. The issue is cost, of course, and it turns out this has been the main deterrent for Samsung and LG, not only Apple, to start utilizing sapphire displays. Until now. Korean media is reporting that both LG and Samsung are back to the drawing board, considering the employment of sapphire in their display panels, after previously dismissing them as too expensive to be mass-produced. Apparently Apple's experience with tooling and machinery might have given them a hint that sapphire can be used in a more cost-effective way, so the time we see this innovative material in a Samsung or LG phone, might not be far away. I do hope you are being sarcastic, since Apple has no patent to use sapphire but a patent on how to implement sapphire in combination with a touchscreen. Apple is mainly using it as a fackin marketing gimmick and now the whole damn industry is going to waste effort on it. Sapphire as it is now is garbage as shown in the following vid:http://m.youtube.com/watch?v=J-3c1NYF8Gw They will probably market the hell out of it to their army of tools just like touch id and 64 bit, then every other idiot will try to pointlessly copy it. No it doesn't work that way, the pointy nature of the metal is what allows it to scratch something easily. The lattice of the sapphire versus a flat metal surface can be compared in hardness. That is why they have that video in the article where they move a concrete block over the glass, its pure propaganda. Unless someone is carrying bricks in their pocket (which all the iFans will now claim to do) it is a very unrealistic and pointless test. Nail? That has moh of poop. You guys should look up steels like CM154, D2 tool, VG-10 and then not forget steel is crystalline and the cool one is obsidian..
Also, transparent aluminum is possible too. Hint, it's used in planes that cruise on edge of space, mostly spy planes. LOL Yup. I wonder how those media know that Apple plan saphire displays, at all. Apple never said such thing. Same was with iWatch, iRing, iTV, liqud metal,........ Those media iFans make "rumors" about everything possible, so their lovely brand to look like "the first" always. Even if they overhear that some real tech company develope something, run fast with "rumors -articles" that Apple is doing it, too , before all. Gotta love the conspiracy theories all the time from the Apple haters that roam....or maybe plague is the word i should use, phone arena. Its amazing, how ppl get so worked up and butthurt over Apple. Apparently they must be doing something right since so many ppl hate them and like to come up with so many conspiracy theories. 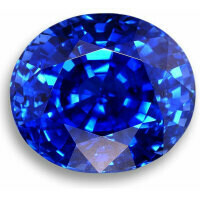 Sapphire is a very clear material to see through, but it refracts much more light than glass. So light hitting the surface of the display at an angle is much more likely to get lost than with glass. Fragile is a difficult word to use... Sapphire requires more force/stress to break, but it will break under much less deflection/strain. Still, I've only ever broken my screen by dropping it, and for that I would much rather have a tempered glass display. Asahi and Corning should join forces and create 'GorillaTrail' Glass to compete with this.